Saluda Lake Landing now rents Fishing Kayaks. 10 ft Old Towne Angler models, Brand new, set up great for the novice and experienced kayak angler. 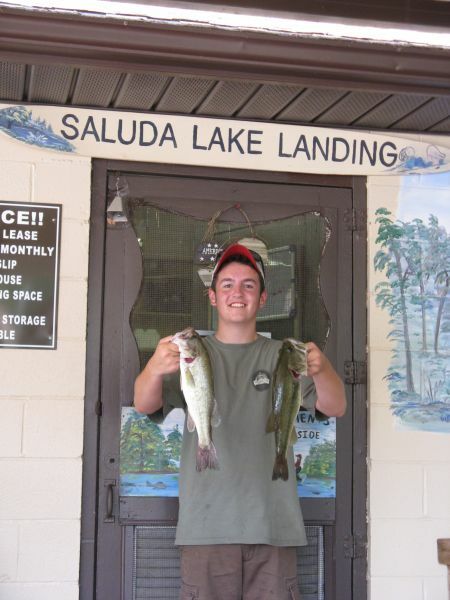 They have a bank fishing area, a launch ramp for your boat a great tackle shop with live bait, A fantastic snack bar with great food and best of all they are just 5 miles from downtown Greenville on Lake Saluda. The fishing on this lake can be awesome ! It's like Greenville's best kept secret. A few fish over 7 pounds taken this month alone. And the launch ramp and fishing are available at a great price 24 hours a day. The address is 605 Motor Boat Club Road, Greenville, SC 29611.